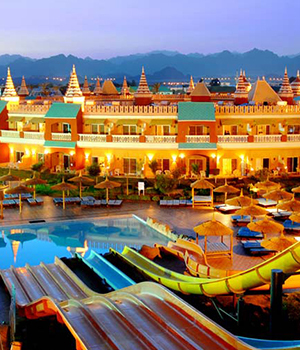 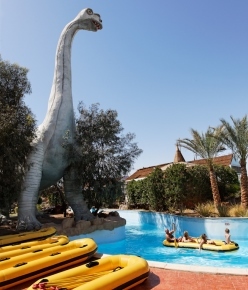 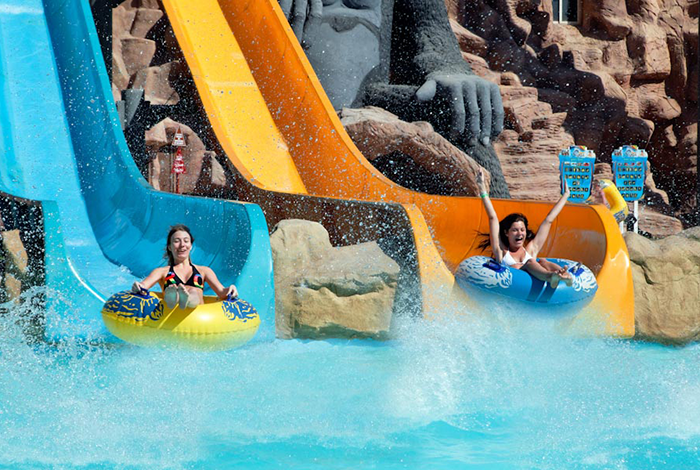 The Aqua Blu Sharm Hotel is the number 1 Waterpark Hotel in Sharm El Sheikh. 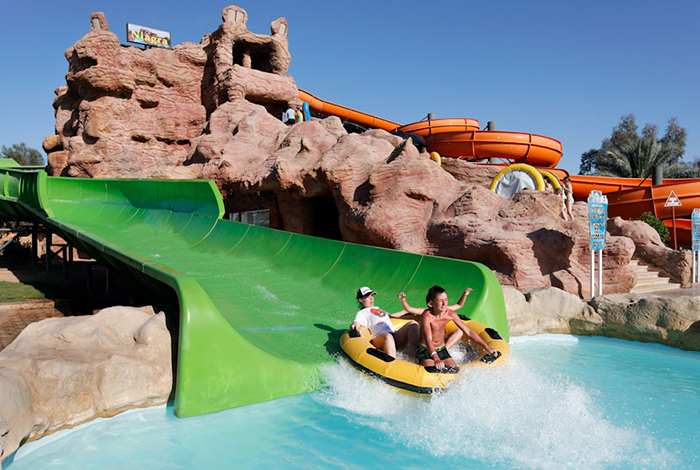 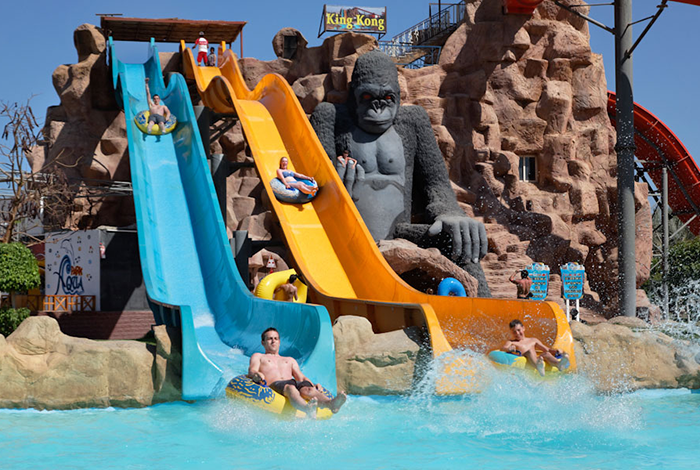 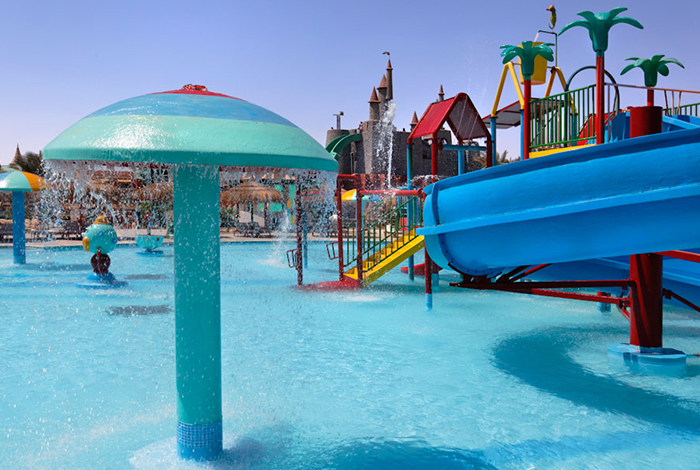 Boasting 62 waterslides and a number of themed areas in the hotel for children of all age groups, it is a popular family hotel. 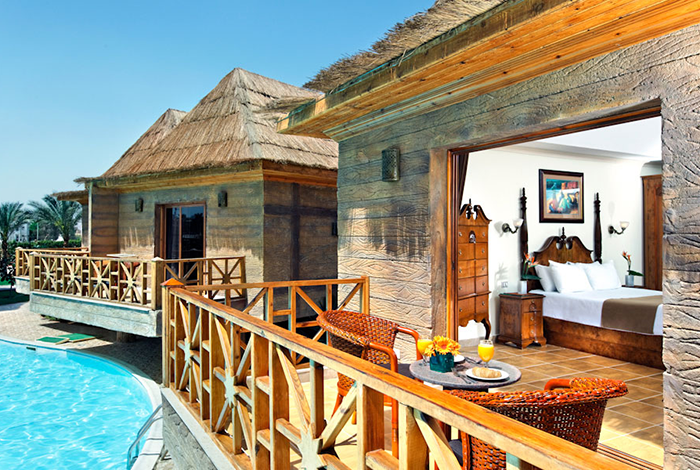 There are 538 rooms offering various room options. 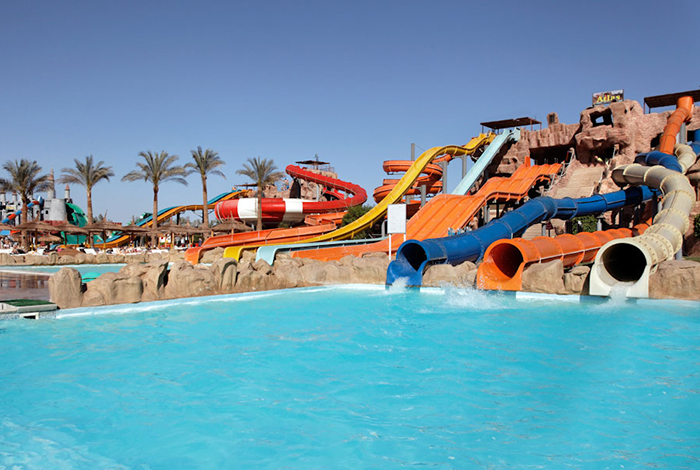 With 19 pools to chose from (6 heated in the Winter) there is always an area to bathe which suits your needs, from relaxing areas with shade to fun filled areas offering aqua sports. 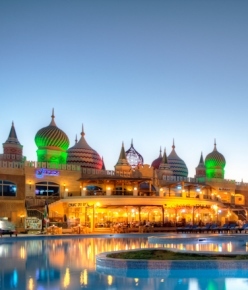 Restaurants are a plenty and offer many different cuisines from Italian to Mediterranean and Asian. 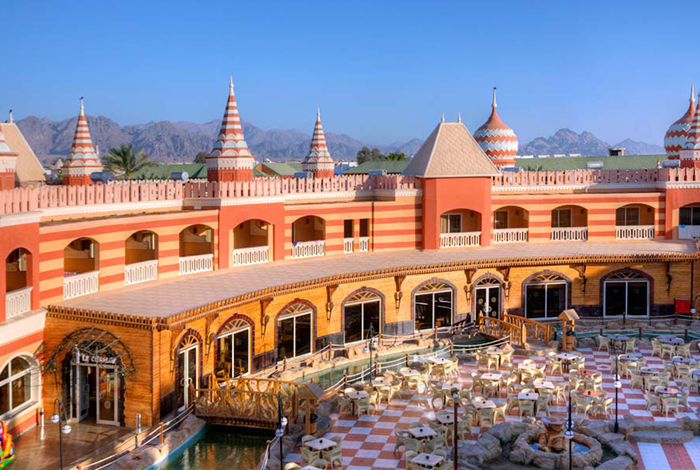 The hotel offers free wifi throughout the hotel and rooms, so ideal for business travelers or to keep the kids entertained. 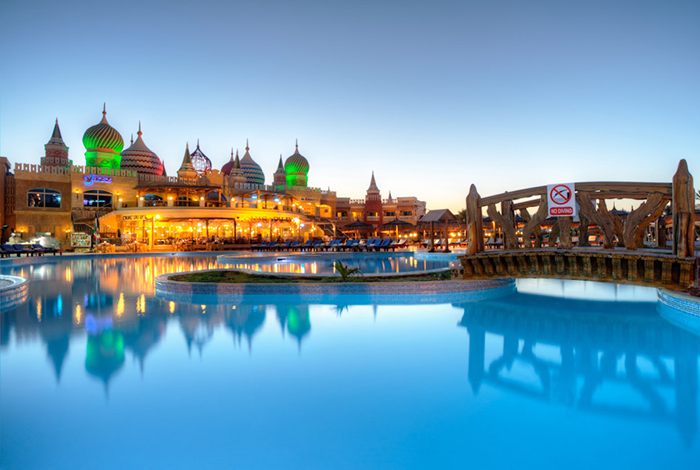 The hotel is in a fantastic location offering you easy access to Naama Bay, Soho Square, the Old Market and Il Mercato Shopping Centre. 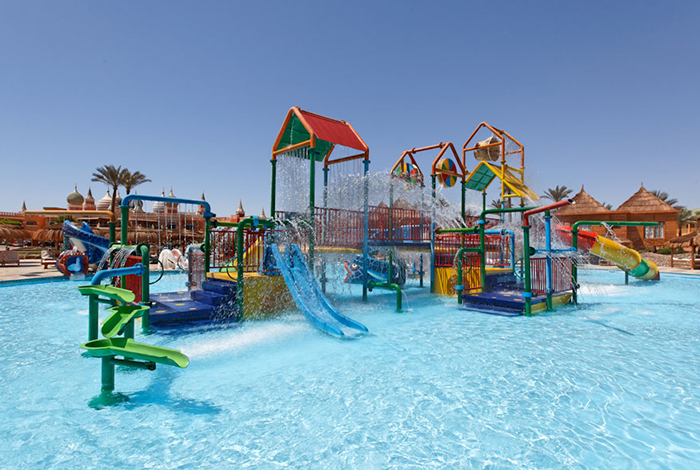 Whatever the reason for your stay The Aqua Blu Sharm Hotel will provide a fun filled family holiday that won’t disappoint.